While I was in Serbia competing at the 2011 FILA Grappling World Championships I knew that my recovery would play a factor in my success. I wanted to make sure that I was able to have the energy and power that I needed to win the tournament. A typical Grappling (or Wrestling) tournament will have you spending all day at the competition venue with little chance of finding good or even adequate food to keep you going. I made sure that I had exactly what I needed on hand so that I didn't have to worry about not finding food and not having the energy I needed. As a 30+ year old grappler I need fuel both before and after my workouts and competitions. The Advocare line of products has helped me keep a steady energy level and allows me to compete at my best. Here is my "World Champions Stack" that I took with me to Serbia. Click on any of the images below and you will be taken to Advocare's webpage where you can purchase these supplerments! 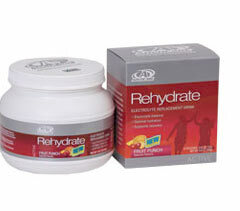 Rehydrate is an electrolyte and rehydration supplement. I generally use it after my grappling workouts which helps tremendously with my recovery. One of the most overlooked elements of recovery for most Grappelrs and Wrestlers is hydration. If I don't get rehydrated before I get to bed after a hard night's training session then I usually have issues with energy the next day. I found that as I used Rehyrdate my hyrdation felt like it came back faster and I could tell that I was being replenished. I've used Gatorade, Powerade and everything else on the mass market and they simply do not do anything for me. Click on the image and give Rehydrate a try. 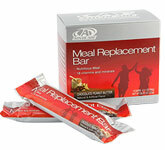 Advocare's Meal Replacement Bar saved me at the world championships. This is what I was munching on before and after matches to keep my strength up and my energy going. They are easy to pack and easy to eat at tournaments. I knew I was getting good protein and carbohydrates every time I ate one. I was able to keep steady energy levels and avoid 'bonking' throughout the day. That has proved challenging in the past and I am glad I found this great solution. After all was said and done I needed some serious recovery and rejuvenation. I brought Post Workout Recovery along with me to both the World Team Trials and the World Championships. Post Workout Recovery is also a mainstay for me after all of my strength training workouts. If I was stuck on a desert island and only had one choice of supplement to use for the rest of my life this would be it.